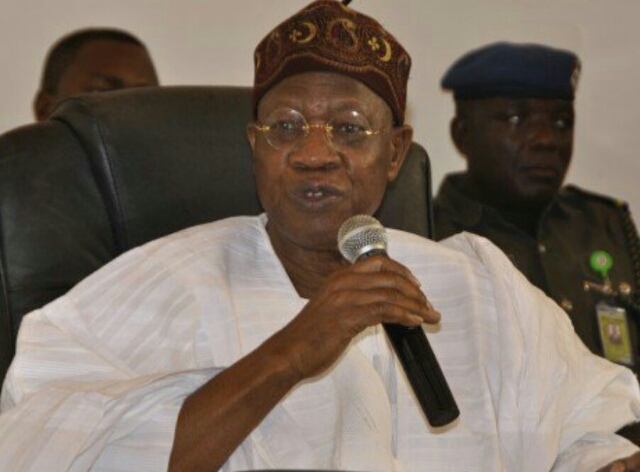 Lai Mohammed, minister of information, has described as “erroneous and extremely dishonourable”, the claims by the Peoples Democratic Party (PDP) that the abduction and release of Dapchi schoolgirls were stage-managed. In a statement on Thursday, Mohammed said the PDP should have congratulated the federal government and Nigerians on the release of the girls or kept quiet. Members of the Boko Haram insurgents returned 104 of the 110 abducted students a month after they were kidnapped from Government Girls’ Science and Technical College, Dapchi, Yobe state. Following their return, the PDP claimed the abduction was designed “to hoodwink Nigerians and orchestrate a great rescue and security prowess of a conquering general”. But Mohammed said it would have taken a conspiracy of global proportion to have stage-managed the adoption and release of the girls. He said the federal government stopped responding to statements from PDP because it has failed to learn the ropes of being an opposition party, “even when we have advised them to take a crash course on the role of the opposition in a democracy”. “In its over three years in opposition, the PDP has again shown it does not understand the role of the opposition in a democracy. How then can the PDP convince Nigerians that it has learnt its lessons and that it is ready to rule the country again?” Mohammed asked. “We broke our own rules this time because the PDP over-reached itself and scored an own goal at a time it could simply have congratulated the government and people of Nigeria on the release of the girls or just keep quiet. “As we have said many times since the abduction of the Dapchi schoolgirls, no government is exempted from its own share of tragedies. “What makes the difference is the way such tragedies are managed. Whereas it took the PDP all of 18 days to even acknowledge the abduction of the Chibok girls in 2014, the APC Federal Government acted promptly and responsively when the Dapchi schoolgirls were abducted 19 Feb. 2018, hence their quick release.